Happy Friday,party people! I am super excited for the weekend. We were out of town last weekend and so I’m really looking forward to spending this one close to home. The weather is supposed to be absolutely gorgeous and much less sweltering than we’re used to in May. I’m sure Jack will be thrilled about all the time we’ll spend outside! Before signing off I’d like to thank my lovely sponsors for covering my webhosting expenses and boosting my hot glue stick budget. Read closely for a coupon code! Little Eli is the brainchild of friends Amelia and Meghan. Meghan makes jewelry, Amelia works with concrete, and together the two of them have some seriously covet-worthy creations, like their new line of concrete jewelry! They also have several pieces that would make great gifts for the upcoming wedding season. Concrete Hexagon Pendant. Metallic Gold or Silver Finish. Gray or Black Concrete Jewelry. Necklace. Minimalist. Subtle. Cement. Gray. Brandi and I go way back and even sometimes hit estate sales together. Our tastes are totally different so we’re never in competition with one another and we’ve even been known to text each other pictures if we see something the other might like while out hunting! It’s a beautiful partnership. And even though we’re drawn to different styles I still see things I’d love to have every time I visit her shop. I mean seriously, how adorable is this ice bucket? It’d be perfect for the beach! Use code ABSSOTC to get 20% off any item in Brandi’s shop! Sprigs Jewelry and Accessories is my newest sponsor! Ashley has has over 100 items to choose from and they are all adorable so you’re sure to find something that you or someone you know would love. She also has lots of options for customizing colors and finishes so if you don’t see exactly what you’re looking for just ask! The majority of her creations are earrings but this simple and elegant birthstone bracelet is actually my favorite. And last but CERTAINLY not least, my BFF Cassie has recently opened her own Etsy shop! She had a shop back in college and I have several of her original jewelry creations that I still love and wear regularly. She just opened up this new shop and is taking it slow since she’s got a baby and is in grad school, but she already has several pairs of earrings listed and they are adorable for summer. Every month I like to feature a worthy nonprofit. 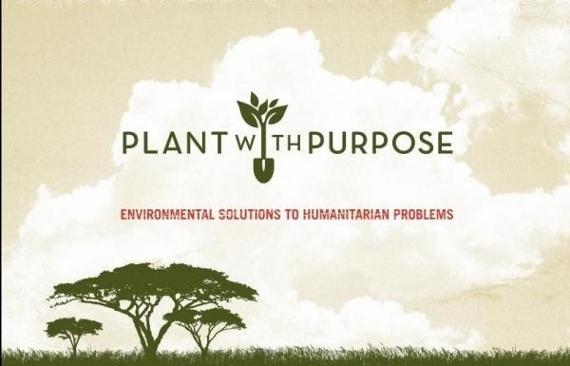 Plant With Purpose transforms lives in rural areas around the world where poverty and environmental degradation intersect. Too often, desperation drives families to cut trees in order to clear more farmland or earn cash by selling charcoal or fire wood. The rampant deforestation ultimately leads to worse conditions for farming families as it depletes the soil and compromises its ability to retain water, resulting in lower crop yields and less income. Plant With Purpose is equipping farmers to get at the literal roots of poverty through reforestation and sustainable farming techniques. By restoring their land, farmers are producing more food to put on the table and more income to provide for household needs. Not only does family nutrition increase, but the additional income also means parents can send their children to school, provide for health care, and meet other needs—all while restoring the land and creating hope for the future. Have a great weekend, y’all!